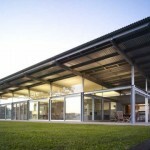 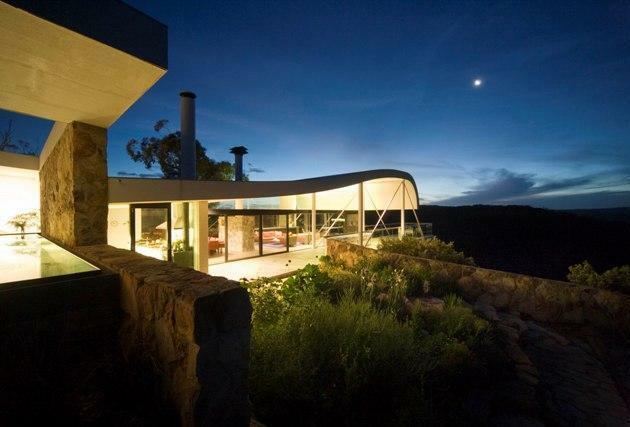 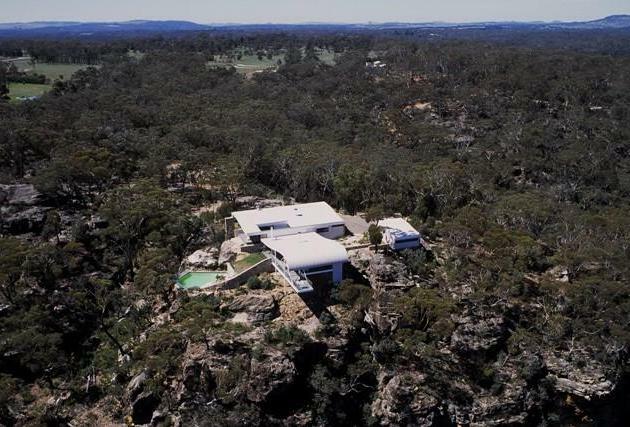 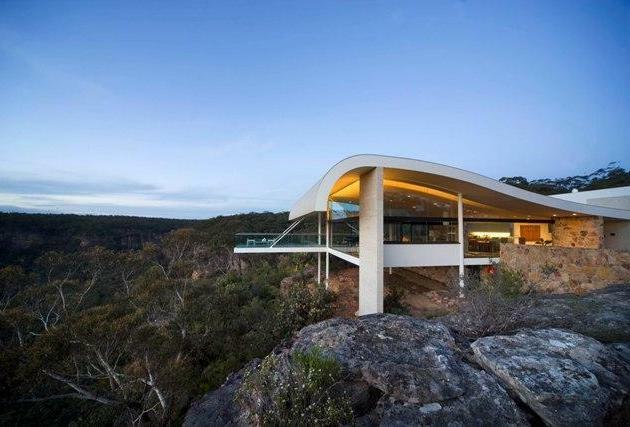 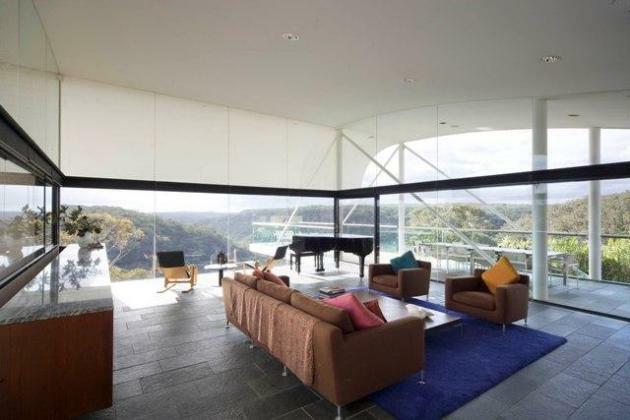 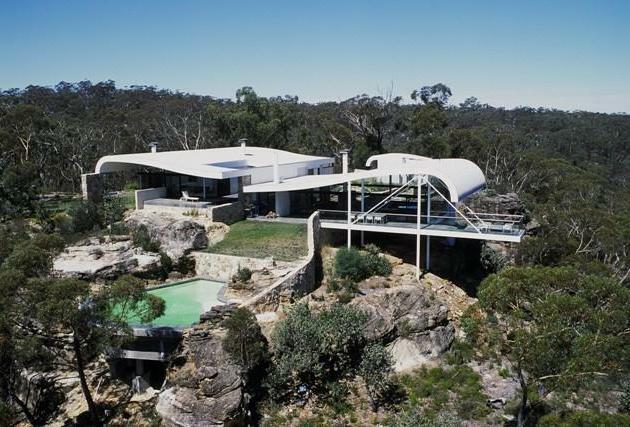 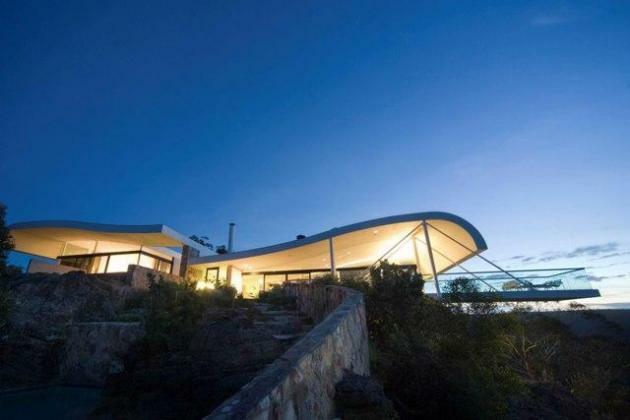 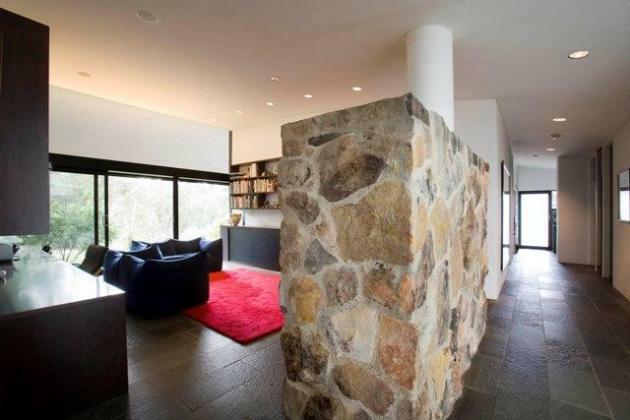 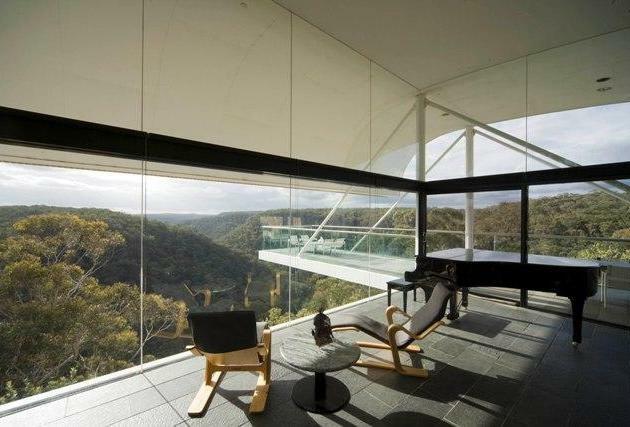 Architect Harry Seidler designed the Berman House in Joadja, New South Wales, Australia. 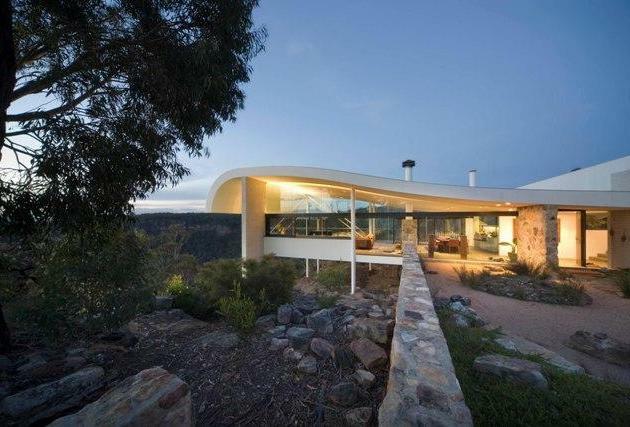 Built in virgin countryside near the top of a deep valley with a winding river below, the house is placed against a rock cliff with a suspended living area and projecting balcony overlooking the dramatic natural setting.Following the rocky plateau, the plan is arranged on two levels with the glazed pavilion of the living area below the upper bedroom wing. 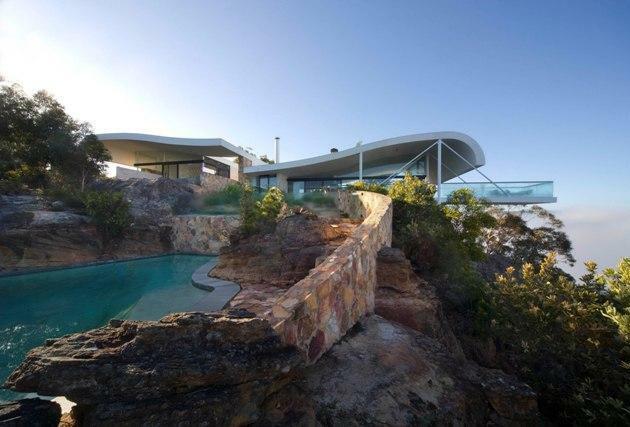 Utilising the site’s ample sandstone boulders, support and projecting screen walls anchor the house into the rugged terrain. 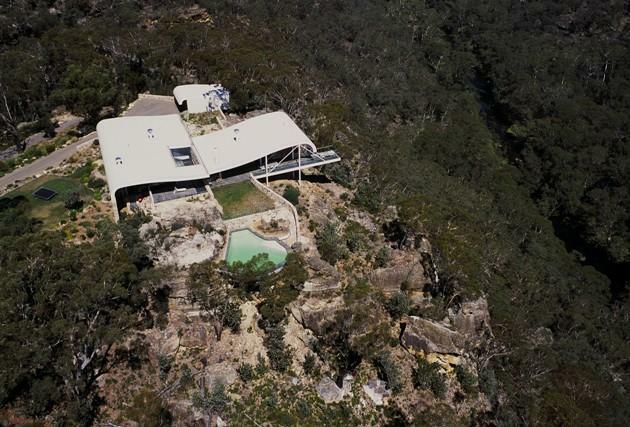 A dam wall between two rock cliffs creates a deep natural swimming pool with an ample water supply in the case of bushfires. 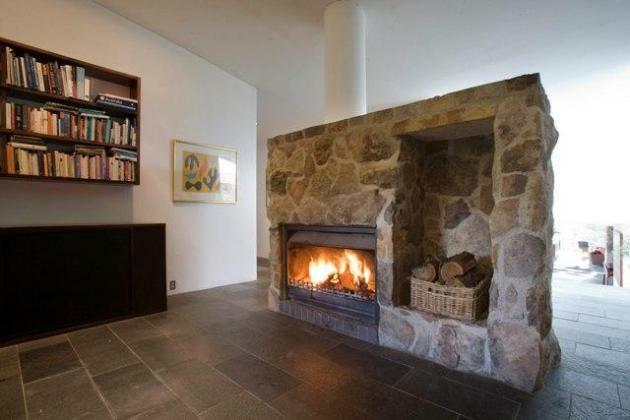 The house is built entirely of fireproof materials. 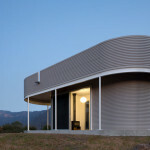 Roof water is collected into a central tank under the house. 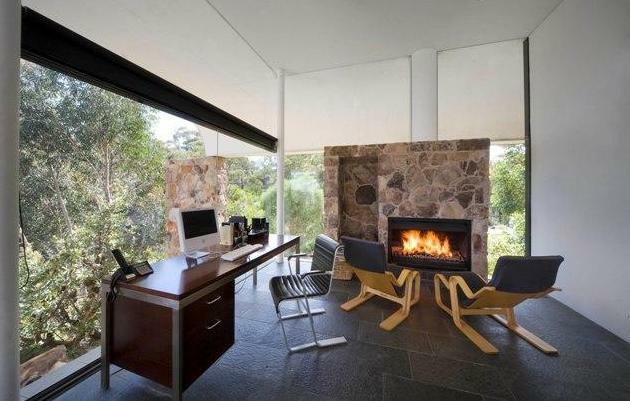 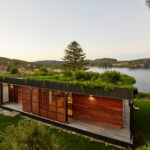 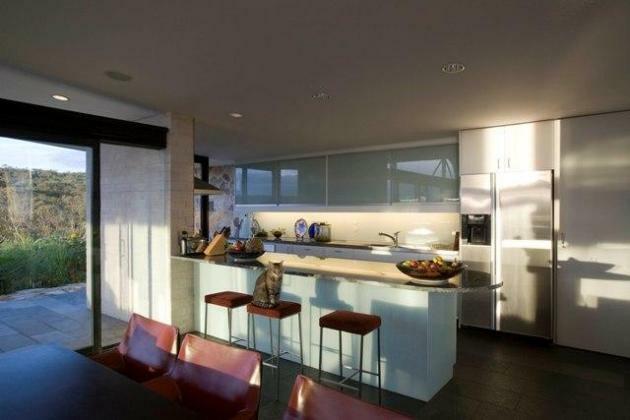 Visit Harry Seidler’s website – here. 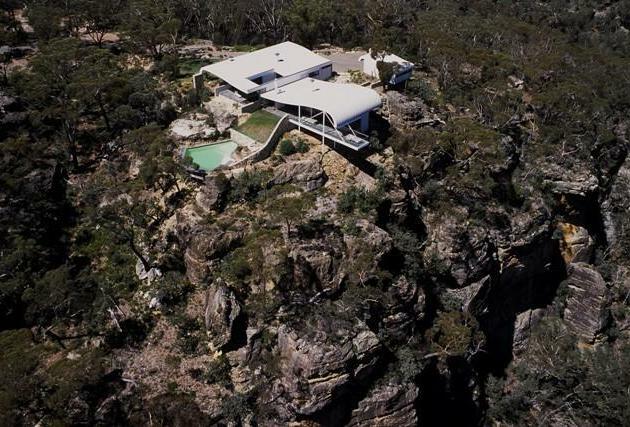 The home is being offered for sale through Drew Lindsay agency – here.